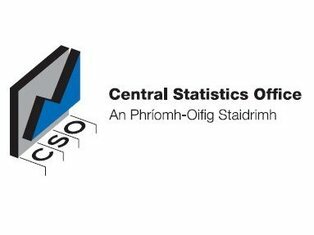 Residential property prices grew by 0.9% in the month of August, according to the latest figures from the Central Statistics Office (CSO). This compares with an increase of 1.2% recorded in July. Prices grew by 0.5% in August of last year. In the year to August, residential property prices at a national level, increased by 2.8%. It compares with an increase of 2.3% in July and a decrease of 11.8% recorded in the twelve months to August 2012. In Dublin residential property prices grew by 1.9% in August and were 10.6% higher than a year ago. Dublin house prices grew by 2.1% in the month and were 10.5% higher compared to a year earlier. Dublin apartment prices were 10.1% higher when compared with the same month of 2012. However, it should be noted that the sub-indices for apartments are based on low volumes of observed transactions and consequently suffer from greater volatility than other series. The price of residential properties in the Rest of Ireland (i.e. excluding Dublin) rose by 0.1% in August compared with an increase of 1.3% in August last year. Prices were 2.6% lower than in August 2012. House prices in Dublin are 51% lower than at their highest level in early 2007. Apartments in Dublin are 59% lower than they were in February 2007. Residential property prices in Dublin are 53% lower than at their highest level in February 2007. The fall in the price of residential properties in the Rest of Ireland is somewhat lower at 48%. Overall, the national index is 49% lower than its highest level in 2007.